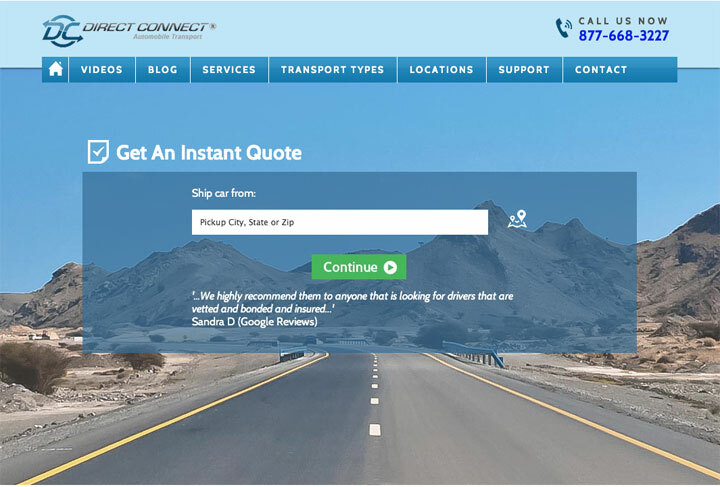 Direct Connect Auto Transport. TOTAL FRAUDS. DO NOT DO BUSINESS WITH THIS COMPANY!!!. They caused $700 + damage to my vehicle and refused to pay for it or provide insurance information. They tell you that they are not brokers, BUT THEY ARE. They tell you that they transport using their own trucks, THEY DON’T HAVE ANY. They will give your vehicle to a broken down GYPSY type operator. They will tell you that they are a large company with offices (22) in every major city. NOT TRUE. Their offices are P.O. BOXES, mostly UPS stores. Since when is a P.O. BOX an OFFICE? Since when is a P.O. BOX a pick up or drop off location, as they even state on their website. They operate in TINY OFFICE SPACES in POMPANO BEACH and FORT LAUDERDALE, FLORIDA. All of their local phone numbers (YOUR LOCAL AREA CODE), are redirected to their FRAUD HEADQUARTERS in Florida. BAIT and SWITCH!!! They told me that they deliver in Washington DC and then after they took my money, they said that they don’t deliver in WASH DC. They delivered my vehicle on a street corner in Maryland. It even states on their PHONY WEBSITE that they drop off in Wash DC. Maybe the little man in their PO BOX at the UPS STORE at 1300 Pennsylvania Ave in DC was off that day. FRAUDS, LIES, FALSE ADVERTISING, BAIT and SWITCH. Don’t believe any of their testimonials on line. Everything else about this company is a sham, the testimonials must be as well. I dealt with sweet talking KIMBERLY LUNSMAN, BECKY, and later on with the owner JOHN COSTELAC. I am currently working with State (FLORIDA), and Federal Agencies. BUYER BEWARE.!!! SENIORS BEWARE !!! You may contact me at v.sira@aol.com.